Sarah Fisher (January 19, 1993) is a Canadian actress, model, singer and songwriter. Sarah is best known for her role as Becky Baker on Degrassi TNG. Sarah performed extensively throughout her childhood and teenage years in choirs, musical theatre, festivals, and competitions. Today she sings a wide variety of musical genres including jazz, musical theatre, opera and pop. Sarah has trained with both Kim Briggs and Elaine Overholt, a renowned vocal coach for both Hairspray and Oscar-Winning Chicago. Sarah has evolved from a student to a teacher for Elaine’s Glee Class. Sarah’s desire to broaden her talent on-stage led her from singing to acting. Sarah’s first audition was for the critically acclaimed show Degrassi, where she landed her first role. In June 2015, Sarah starred in the movie The Stepchild alongside Lauren Holly (Dumb and Dumber star). Sarah’s most recent roles include, ‘Laurie’ in the film Lost After Dark and the role of ‘Isla’ in NBC and Family Channel’s movie Full Out alongside Jennifer Beals (Flashdance star). She also has a recurring role as Samantha on the hit CBC show Heartland. She continues to study acting at Armstrong Acting Studios in Toronto and has been retained as a teacher and acting coach for the school. Sarah has produced three original songs placed in the hit TV series Degrassi as well as NBC’s movie Full Out. In 2016 Sarah was the lead actress and Associate Producer for Kiss and Cry, she also completed filming on another feature movie called #Roxy where she played the lead role. Sarah models for Lang Management. Sarah is a huge supporter of Youth. Sarah is the Celebrity Ambassador for Kids Help Phone, a support system for young people experiencing bullying as well as abuse at home. Sarah is also an ambassador for Youth Day Global, a Toronto based initiative that recognizes, supports and celebrates young talent in the arts. Sarah joined the Wear Your Label family in 2015, as one of their Lead Role Models for their clothing line which supports young people struggling with mental health issues. Sarah modeled for them in New York Fashion Week 2015. Wear Your Label is a clothing line that creates conversations about mental health. They are encouraging individuals to take ownership over their mental health. Wear Your Label has grown tremendously in the last year, now making international headlines ‘fashion tackling the stigma of mental illness’. Sarah has been working very closely with Wear Your Label, participating in New York Fashion Week, photoshoots for their collaboration with Joe Fresh and other events. Sarah is honoured to be a Role Model for Wear Your Label and continues to support erasing the stigma. As a supporter of positive messages for youth, Sarah understands how challenging it can be for young people to overcome difficult situations. 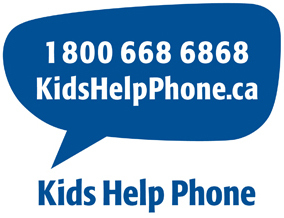 After working with Kid’s Help Phone last year and writing a song for them entitled Walk On, Sarah has become their Celebrity Ambassador and actively participates in awareness initiatives and events across Canada, in support of their cause. YD Global is a Toronto based initiative that supports youth aged 14-29 in music, dance, art, photography, fashion and film. Founded in 2006 by Tylaine Duggin, she saw a need to get youth off the streets and expressing themselves creatively, after the city’s infamous ‘Summer Of The Gun”. Youth Day Toronto attracts over 30,000 people to Yonge-Dundas Square annually in support of Youth in the arts. Sarah is thrilled to be a Youth Day Global Ambassador representing Youth Day as they spread their wings around the world.